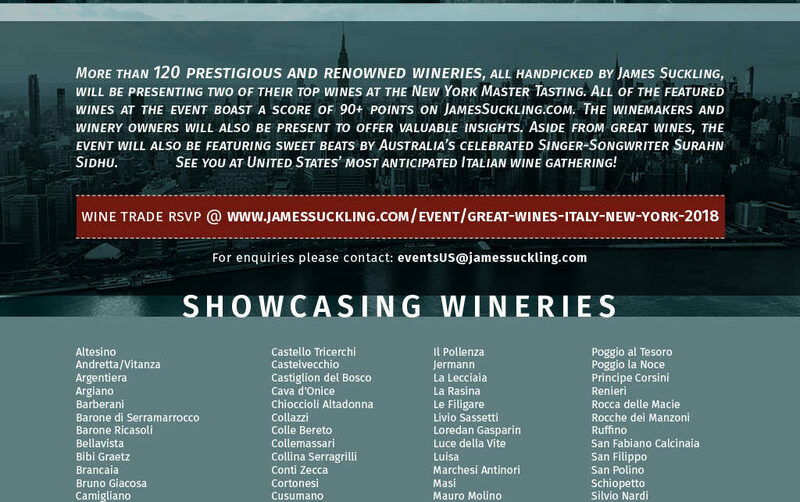 Don’t miss the Great Wines of Italy 2018 USA, organized by the important wine’s critic James Suckling. We will attend the event in New York, the 6th of March, to IAC Building (555 W 18th St, New York): the Grand Tasting will start at 5PM to 8PM. Trade and Media only.